Yesterday, Mayor Rahm Emanuel joined Chicago Housing Authority (CHA) CEO Eugene Jones, Ald. Walter Burnett Jr. (27th) and preservation advocates to open the renovated and restored Carling Hotel, 1512 N. LaSalle Street. 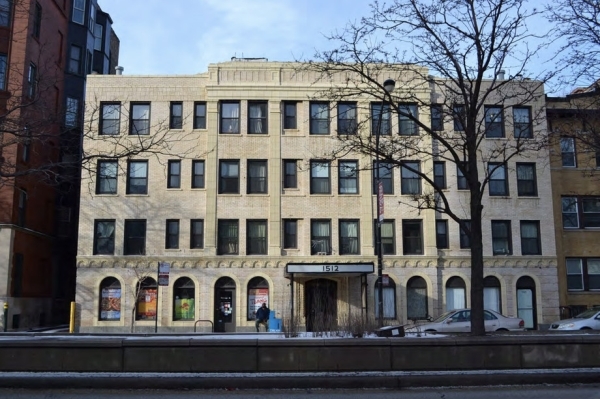 The $27 million project brings 80 units of single-room occupancy (SRO) affordable housing to Chicago’s Near North Side. The rehabilitation and preservation of the Hotel brings private bathroom and kitchenettes to each apartment as well as a restored vintage façade and lobby and updated building systems. The City, as part of the Mayor’s SO preservation initiative, acquired the four-story property from Carling Hotel LLC for $10 million and transferred it to Michaels Development Co. for $3.8 million for preservation as an SRO. Eight units are reserved for CHA residents; 31 units are affordable for tenants earning up to 50 percent of area median income (AMI); 36 units are affordable for incomes up to 60 percent of AMI; and five units are affordable for incomes up to 80 percent of AMI. On-site amenities include laundry facilities, onsite property management and support services, including job and mental health counseling to enable residents to live as independently as possible.